Today, my girls have their Valentine's Day gifts, I will try my best to give a book, and tonight, after curtain call, the cast of my play, Radiating Like A Stone, will invite the audience to stand and dance. I wish each and every one of my readers a Very Happy February 14, no matter what it may mean to you. Right back at ya! Have a great show tonight, wish I could come watch! Thank you and thank you!!!!!! xxxxxoooo Hope yours has been lovely! 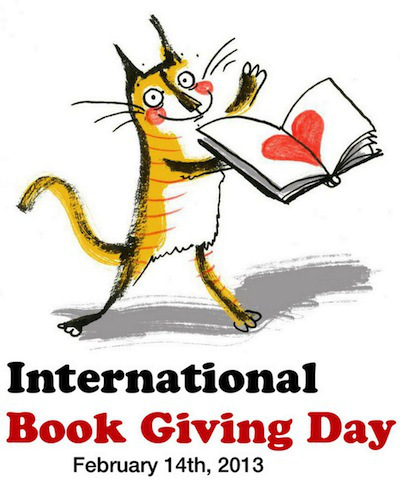 I LOVE that it's International Book Giving day. That just makes me happy. Isn't it cool? I had books ordered to give today, but they didn't arrive in time. The fact I give books all year round should count, right? Sigh. Thank you!!! 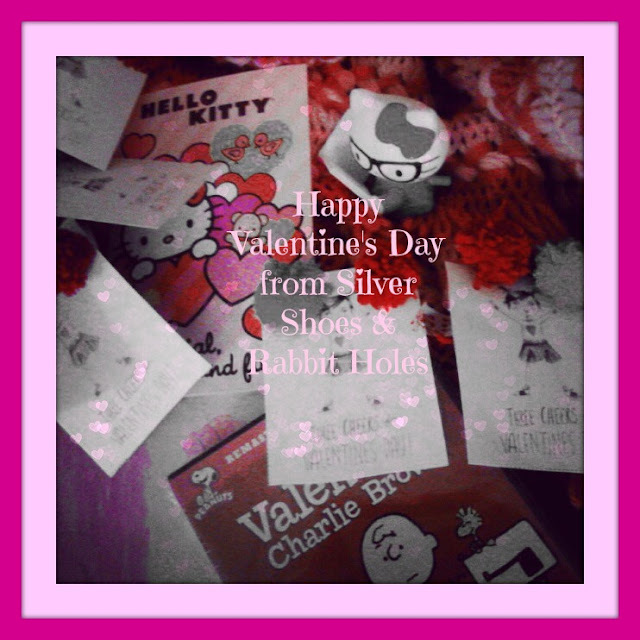 Happy Heart Day! Happy Valentine's Day! Have a great time at the play! I had no idea it was international book giving day, this sounds so interesting. I feel bad I didn't give a book away now. I knew about it, and didn't do it. I intended to, as I usually give the girls books for Valentine's Day anyway, but I didn't. Oh, well. It's a lovely idea!